If you are organizing an outdoor function (such as a wedding, a party in the park or a sporting event), you may not have access to mains power. We can supply a PA system that will cut through the background noise. 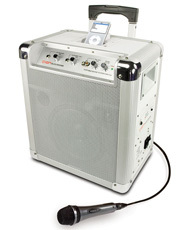 Our self contained, battery powered speakers have two channels, which means that you can connect a microphone and an iPod (or any other type of MP3 player) at the same time. The battery will last for at least 4 hours with normal use. 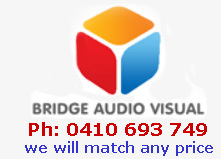 For smaller events of up to 50 people, one speaker will be sufficient, while larger events may require 2 speakers. Our technicians will be able to help you with a configuration that will best suit your needs. Our speakers weigh about 10kg and have wheels for easy transportation. They can also be daisy-chained if additional volume is required. These are great alternatives to power generators. They are completely silent and reliable. You can connect a variety of 240V equipment such as PA systems, low energy lights and even TVs. If you are holding an outdoor event where mains power is not available, these battery packs will last you for about 6 hours. Perfect for weddings, outdoor rallies and garden parties. We will supply these fully charged and on a trolley for easy transport. 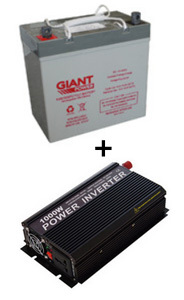 Battery is rated at 600 Watts and the 12V/240V inverter can handle 1000W continuous or 2000W peak.